Copper reacting with silver nitrate, 3 of 6. 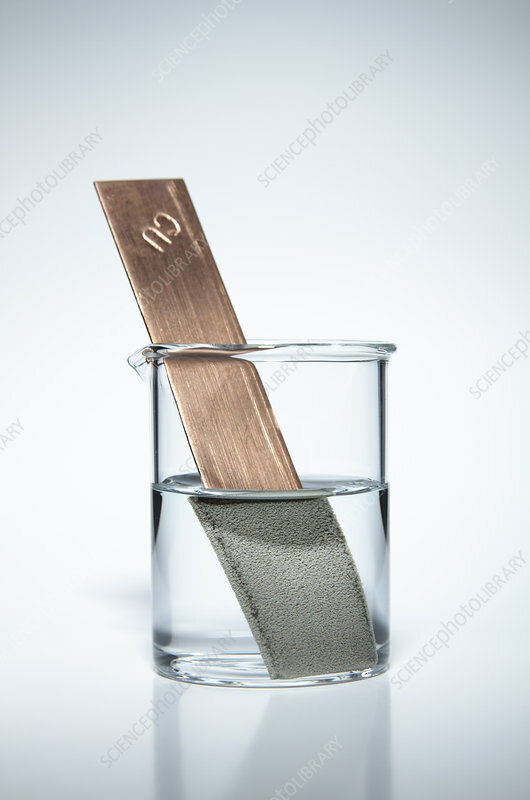 Copper metal strip was immersed into a beaker containing a 0.2M silver nitrate solution. Since copper is more reactive than silver, a single-displacement reaction occurred: Cu + AgNO3 -> Ag + Cu(NO3)2. In this sequence Photo 1 was taken 5 sec after the strip was put into the beaker, Photo 2 was taken after 25 sec, Photo 3 was taken after 1.25 min, Photo 4 was taken after 7.25 min, Photo 5 was taken after 18 min, Photo 6 was taken after 1 hour and 40 min.